It can feel like a personal slight when your normally loving little bundle of joy starts to try and hide away from you. They might even become irritated or lash out rather than purring their usual enjoyment when you try and pet or comfort them. 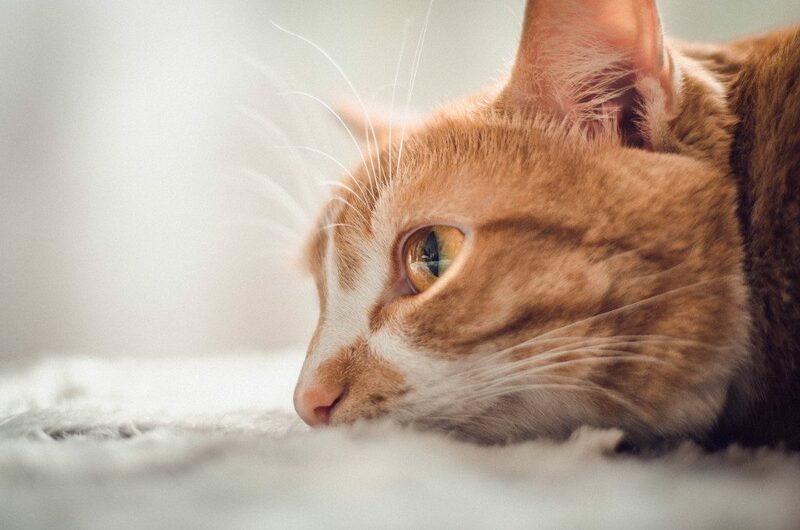 A desire to be alone so that they can relax and remain calm is natural for cats if they can sense that they are coming to the end of their life. Try not to take it to heart if they prefer to spend time in seclusion, perhaps behind the sofa or under a bed. If your cat frequently starts spends time outside – more than they normally do – and are likewise seeking out cool, quiet places like underneath the shed, your car or in bushes, this may also be a sign. But that dramatic change in behavior can work the other way too. Many cats who usually prefer to be left to their own devices will suddenly be desperate for attention and soothing cuddles when they can tell their end is coming. They may also start to follow you around constantly where normally a brief appreciative leg-rub after you give them their food is the most you usually get. Such a change in behavior is usually welcomed. But do be aware that swings like this can be one of the signs your cat is dying or sick. When he or she is in great pain or feeling particularly weak, your cat may not be their usual energetic self. If your pet suddenly no longer shows interest in chasing their favorite toys, or they will not follow you into the kitchen even when food is on offer (and they usually can’t be prevented from running in after you), this may also be a cause for concern. 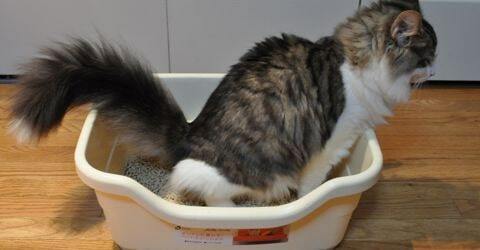 When they reach a stage where they cannot or will not move for an entire day, even to relieve themselves, that is definitely not a good indication and it is time to call your vet. Some cats will happily skip a meal if they hunt for themselves or simply because they fed well previously. But missing two or three meals in a row even when you bring the food to them can be a sign of an underlying medical problem even if it is currently undiagnosed. This does not have to mean they are in immediate danger, however. Though it is definitely worth consulting your vet! Parasites and other medical issues can also lead to your cat not wanting anything to do with their food. But that said, especially if your pet is old or sick, a lack of appetite in cats is not a good sign. A cat-on-cat scrap or an energetic life lived outdoors can, of course, leave your adventurous cat looking a little the worse for wear from time to time. Cats are fastidious creatures in the main, however, and they will always try and rectify any uncleanliness as soon as possible. Cats who are dying regularly have less energy to spend on personal grooming. This can be exacerbated by the fact they may be shedding hair or losing fur in large sections. Or it can be combined with a loss of appetite which can leave them much thinner than normal or result in less water being retained by their body. All in all, if your usually well-trimmed moggy starts looking a little ragged in appearance, it can be a sign of serious illness. If they start walking into walls it can be a sign that they are losing their vision. A slow and sedate movement may indicate their ability to think quickly is being hampered by illness. Unsteady breathing is always a serious concern, as it can indicate their respiratory system is struggling. If you are struggling with how to tell if a cat is dying or you have any concerns about your feline friend’s health whatsoever, it is always worth talking to your vet. If you can make it so that your vet visits you rather than put your pet through the caged trip to your local veterinary clinic, all the better. Try to remember all the happy times you and your cat have spent together. Remember too that death is a natural part of life. Your cat will always be grateful to you for the joy and support you provided throughout their life, as well as for the fact that you were there to help them in the end.